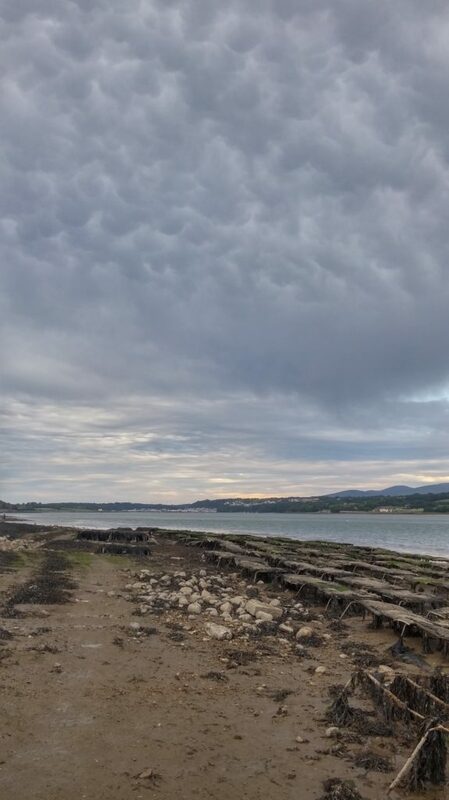 Menai Oysters is located in a Special Area of Conservation, and as such is acutely aware of the environmental responsibilities this entails. Mussels are cultivated on the sea bed and as such are effectively a food source for both land and marine animals. We harvest for markets by hand and manage the stocks with a small boat that uses very little fuel for the amount of work done. Mussel dredging is very different to other forms of marine dredging in that the seabed has been altered by the mussels. By this we mean that the mussels produce large quantities of sediment which gradually accumulate covering the original seabed. The dredge is designed to only skim the mussels from the top of this sediment. Once the mussels have been removed, the sediments naturally dissipate over 12-18 months restoring the seabed to its former state. With regard to sustainability oysters are hatchery reared and only cultivated by us. This process is therefore totally controlled and only relies on the sea to provide the planktonic food. Mussels are produced by harvesting wild seed mussels from certain areas. These areas are known as settlement areas and as such do not provide a suitable site for mussels to mature. A mussel seed bed is often only a temporary phenomenon. They are usually washed away during stormy weather, or in some cases completely eaten by starfish (see story below). Once starfish find a seed bed they remain there until no mussels are left. By harvesting these ephemeral seed beds the mussels are moved to a growing site where they continue to provide food for wildlife for the next 2 years. The seed bed itself is then able to provide an area for fresh settlement the following year. As a result there is an anual harvest of mussel seed from the same sites nearly every year. Mussels and oysters are also now being looked at as a means to sequester carbon. The material collected during the processing of mussels (sand, pebbles, shell and seaweed) also contains juvenile mussels. This material is returned to the beach whereby the small mussels will then continue to grow. As they grow the mussels bury the shell and pebbles so after 18months we are able to reharvest the mussels again without collecting the original waste. Effectively the mussels sort themselves from the waste. Any man made items collected during harvesting (fishing line, plastic items etc) are removed and disposed of properly. We pack our oysters into wooden boxes sealed with paper tape which can be recycled or composted after use. The mussels are packed into a net bag which is made at the time of packing. This means that we are very economical in material for each of our bag sizes. Typically we use 1m of netting (weighing 1.5g) per 15kg mussel. The amount of waste netting generated will fill a carrier bag every 6-7 months. The netting can be recycled where facilities exist. We are actively moving away from plastic in our packaging, however the process is proving quite challenging as the packaging does not exist off the shelf. We have just replaced our outer mussel net with a bag made from potato waste and our small nets are now made with biodegradeable cellulose/cotton. Our only plastic material is the id tag for the bags.